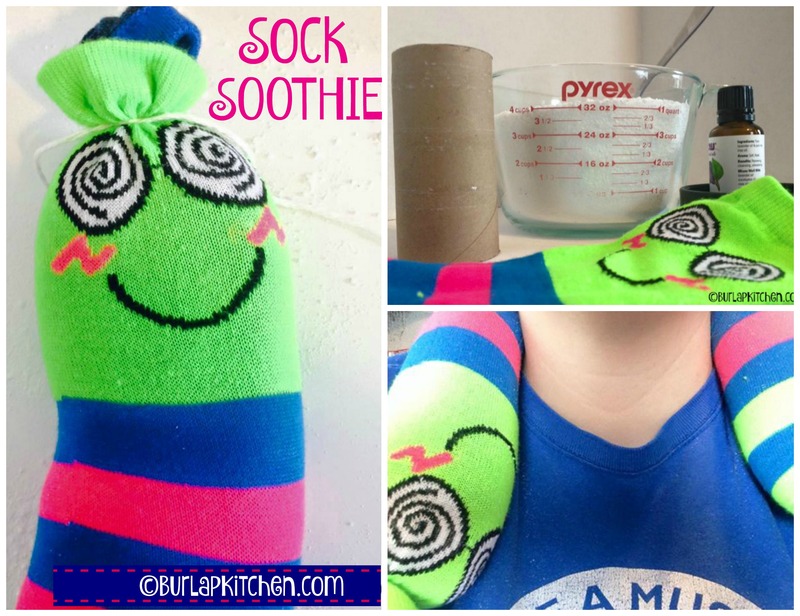 This Sock Soothie has become my new best friend. I mean seriously, this thing is amazing! You can use it for a number of things such as, After a long hard day at work, in a long car ride, if you have a sore neck., or just to relax on the couch. 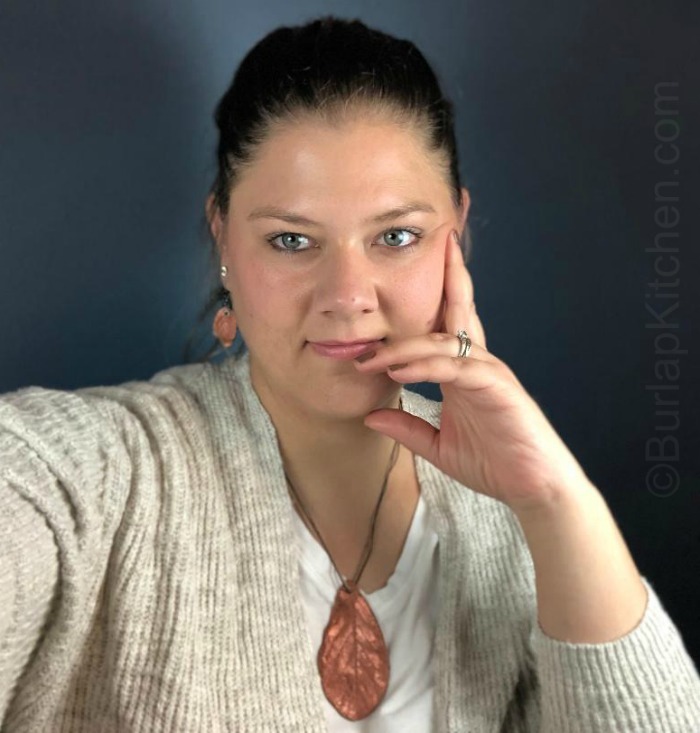 Better yet, they are super easy to make and budget friendly! Step 1 – Add 5-10 drops of a relaxing/soothing to about 6 cups of Epsom salts. I know I only have a 4 cup measuring cup in the picture but I had to add more. Mix with a spoon. 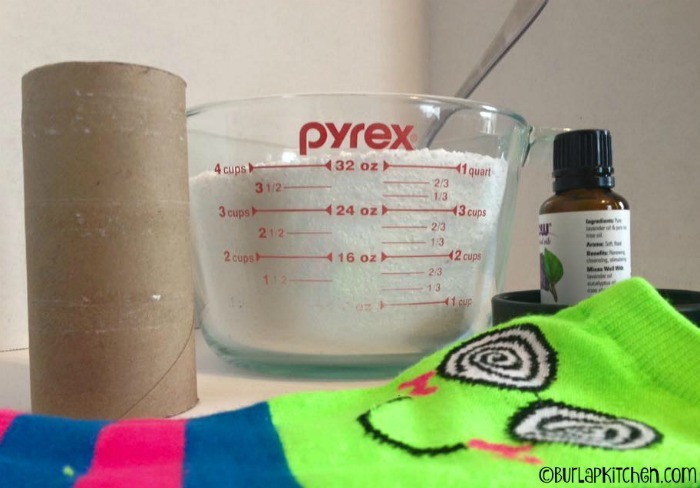 Step 2 – Place your sock around the toilet paper roll and push the sock about half way up the roll. 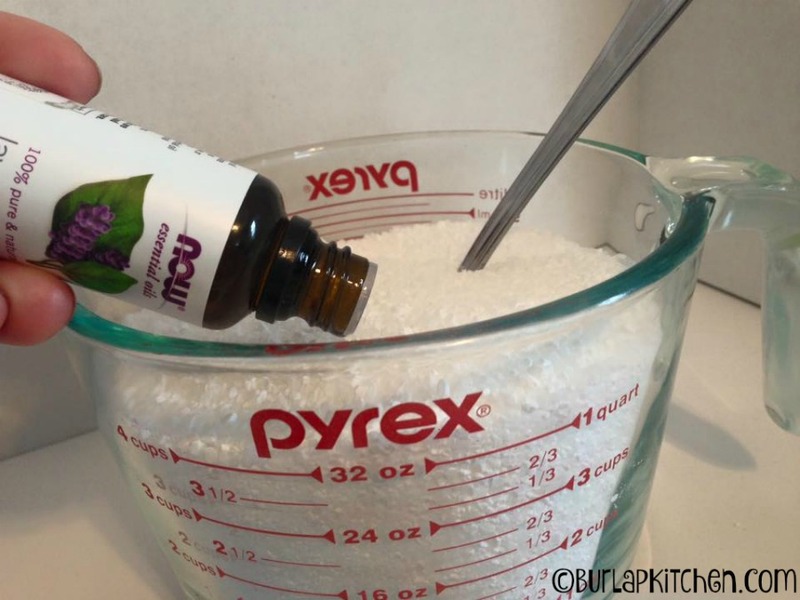 Step 3 – Use a scoop or measuring cup to slowly add the Epsom salts. You want to fill your sock up but you don’t want to overly filled or it will get hard and uncomfortable. I start with 4 cups then hold the end of the sock super tight ( so salts don’t spill everywhere!) and place it around my neck to see how it feels. This helps me so I know whether or not I need more salts. 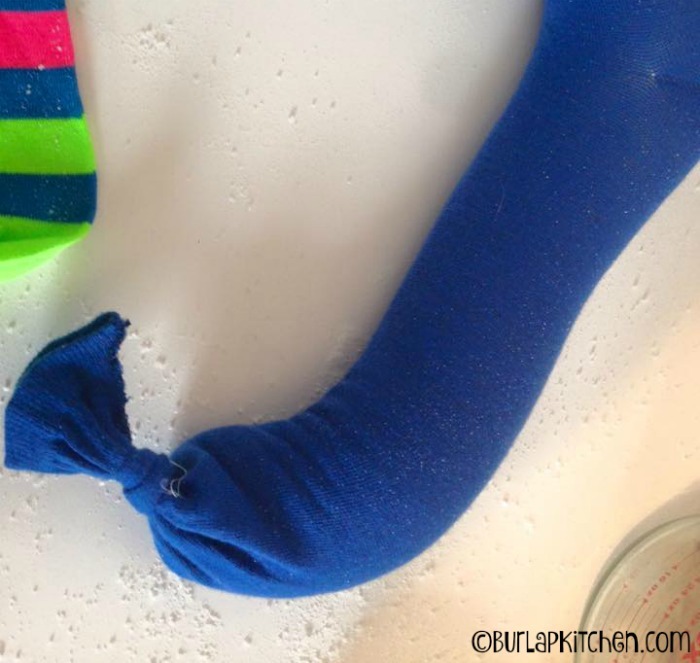 You will have to put a scoop of salts in then hold your sock up in the air so the salts move to the bottom of the sock. 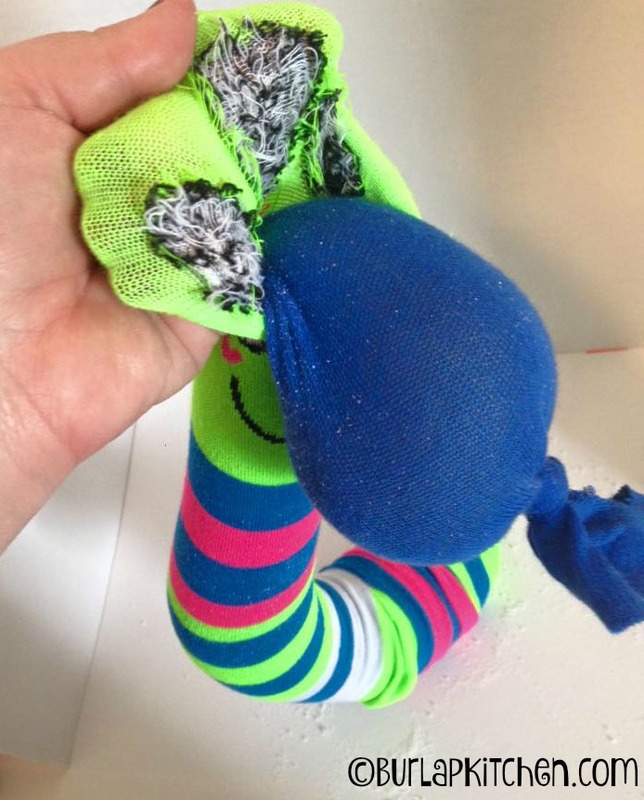 Step 4 – Tie the end of your sock soothie in a knot. 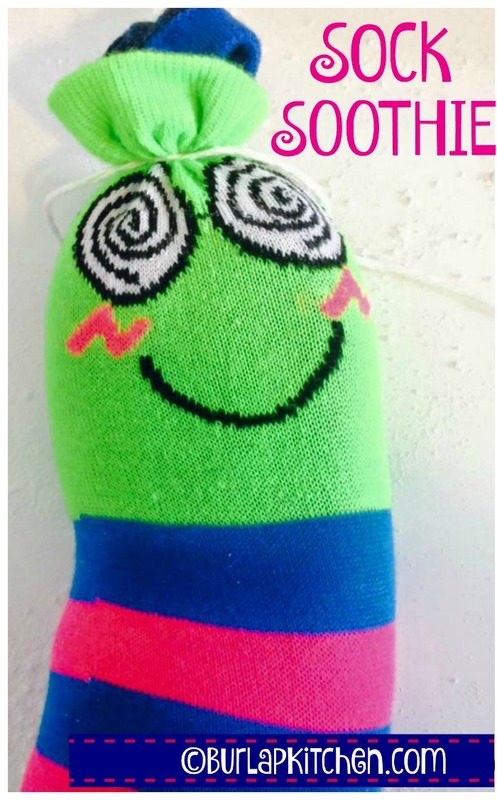 Now, if you are an expert sewer you could sew it at the top, I tried this and the sewing machine ate my sock. I think I’ll stay away from the sewing machine for a little while, LOL. 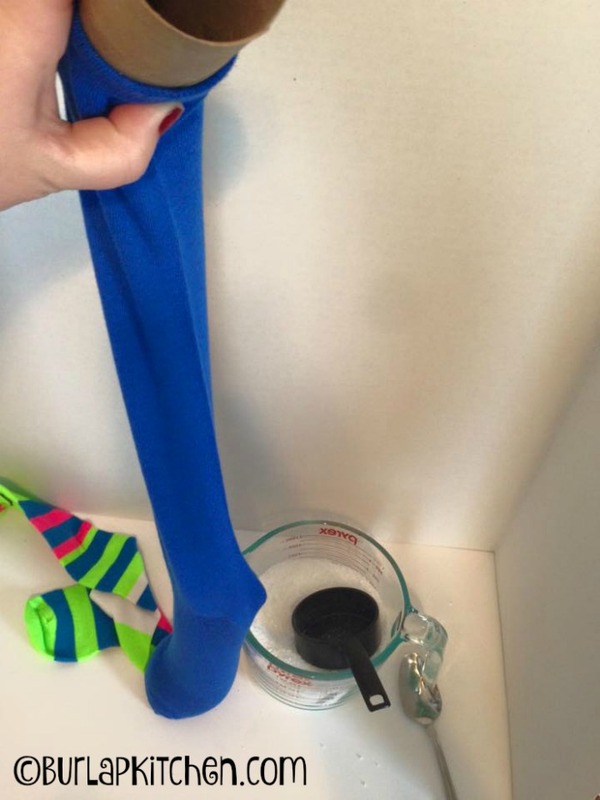 Step 5 – Next, take the sock you want on the outside and put it over top the sock that is filled with salts. 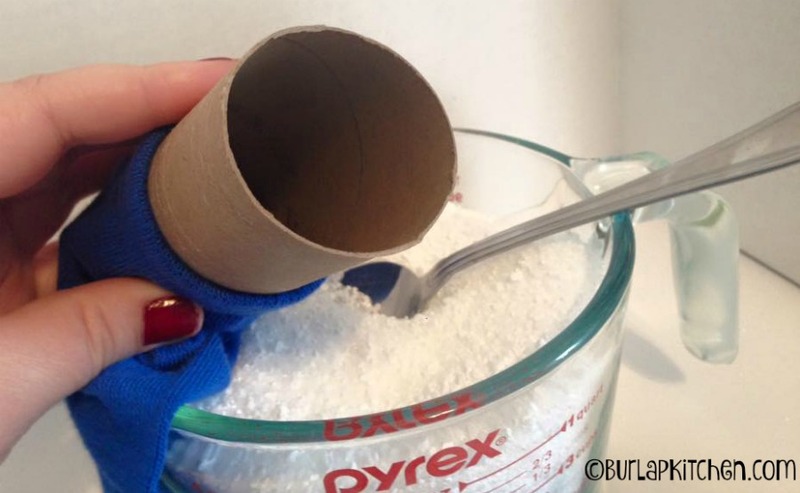 This just keeps the salts from falling out the tiny hole’s in the sock. 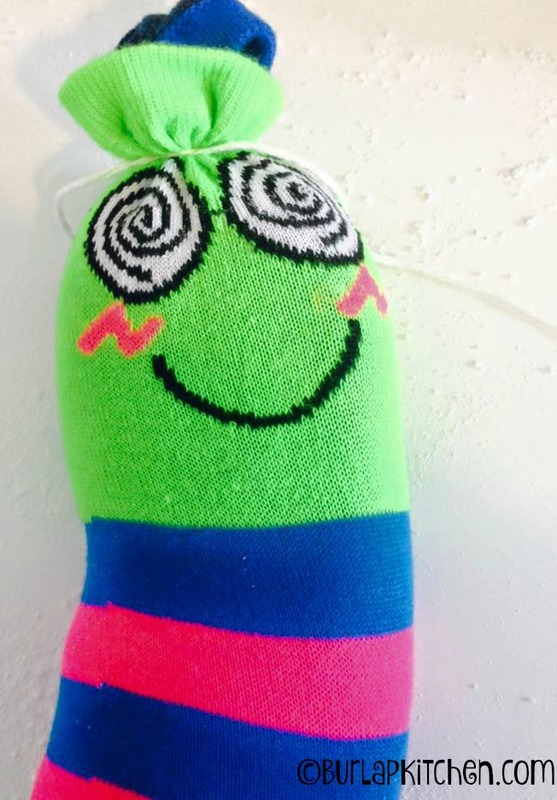 You may even want to use a third sock depending on the quality of the sock, I was fine with just two. It is much easier if you get someone to help you with this part.